Where space is limited inside the home and an external boiler is preferred then the external Vecta is the perfect option. The outdoor module is full waterproof and will allow you to take advantage of the financial incentives under the Domestic RHI and reduce heating bills. 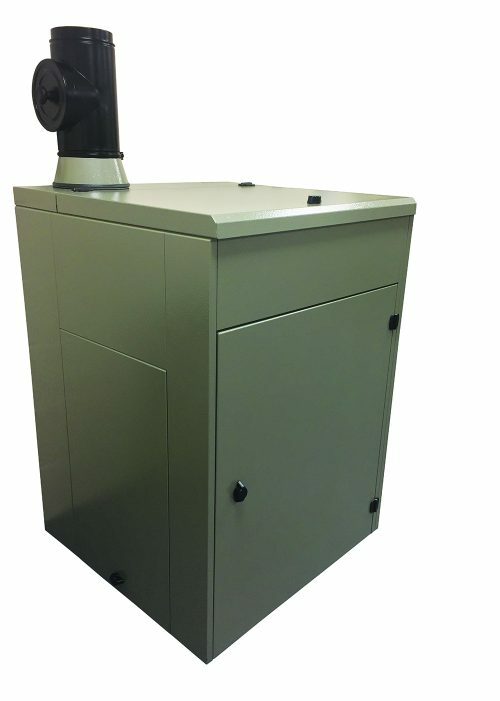 The Vecta External is available with an optional additional pellet storage unit which can be bolted onto the side of the boiler. This store increases the capacity of the systems pellet storage from 60kg to 200kg and comes within a feed auger and cable together with a weather proof external flue system inspection pipe.